Your Heart Rate: What Does it Mean? Home » Blog » Your Heart Rate: What Does it Mean? Do you know your resting heart rate and what it means? Do you understand about target heart rates during exercise? Just how important is your recovery heart rate? Heart rate refers the number of times your heart beats in a minute as blood is pumped to every cell in the body. The pumping is done by the left lower chamber of the heart, which must be healthy enough to sustain the effort, minute after minute, day after day – about 100,000 beats per day, 37 million beats every year. Resting heart rate refers to the number of times the heart beats while you’re resting. The best time to take your resting heart rate is when you first wake up in the morning, preferably before you get out of bed. Count the beats for a full 60 seconds. The number you get will be a bit higher once you stand up, but that’s okay. The most important thing is that you take your pulse the same way every day. The ideal resting heart rate for an adult is 60 to 100. Generally, it’s best to be at the lower end of the range. If you’re starting an aerobic exercise program, it’s a good idea to take your resting heart rate every morning and track the trend. You can expect a steady drop over the first six to eight weeks. That means that you are getting fitter, with a more efficient and healthy cardiovascular system. If, one morning, your resting heart rate suddenly increases by 10 or 15 beats without explanation, it may be a sign that you’re training too hard and would benefit from a rest. When you’re working out, you may notice your heart beating faster. That’s normal. The goal of aerobic exercise is to raise your heart rate and keep it there for an extended period. For maximum benefit, most trainers recommend a target heart rate of 65 to 85 percent of maximum heart rate. As a rule of thumb, maximum heart rate is figured by subtracting your age from 220 (if you’re male) or 210 (if you’re female). In other words, a 40-year-old woman has a maximum heart rate of 170 and should work out at an intensity between 110 (65 percent) and 144 (85 percent) beats per minute. A heart rate of 50 percent of maximum (85 beats) will give a lower intensity, though still beneficial, workout. Most folks who exercise regularly can usually tell by perceived effort alone whether they are working out at low, moderate or high intensity. The higher the intensity, the more labored the breathing. If you use the carotid artery to determine your heart rate during exercise, count for 10 seconds and then multiply by 6. Another good method is to use a heart rate monitor to guide your exercise. In terms of cardiovascular health, one very important factor is how quickly your heart recovers after a strenuous workout. This is known as recovery heart rate. Complete recovery back to your resting heart rate may take several hours. What you’re looking for is how much your heart beat slows during the first minute or two of rest. The quicker your heart rate comes down, the better. If your heart rate comes down 22 to 52 beats during the first two minutes, your biological age is about the same as your calendar age. If it’s less than that, you may have health problems. Smoking, drinking a lot of caffeine, anemia and thyroid disorders can elevate heart rate. A resting heart rate that’s consistently high – even at the high end of normal – is reason to see your doctor. If you notice a flutter, a flip flop or a missed beat or two while you’re taking your pulse, it’s probably nothing to worry about. Nearly everyone has an irregular beat from time to time. An irregular rhythm, though, is more serious. Ultimately, no matter how healthy or fit you are, the beat is your clue to how efficiently your heart is doing its job. Are you thinking of starting an exercise program? Or, do you have other questions about your heart health? 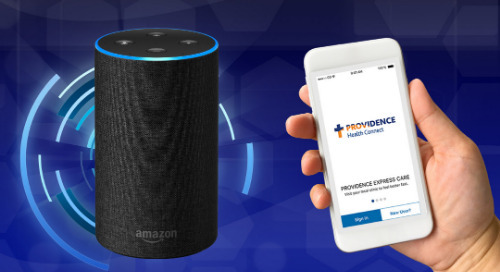 Talk to your Providence primary care provider.